Recently, face oils has gained quite a popularity. 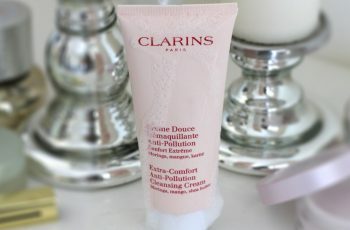 The fact, that these products are adored by women is connected strictly with Oil Cleansing Method (OCM.) As it is generally-known, oils act better with impurities removal and make-up removal. What is more, such substances work best with elimination of sebum that is often produced on oily and combination skin type. Having this in mind, let us check how does Resilience Lift Restorative Radiance Oil from Estée Lauder work. Face oil from Estée Lauder is destined for dry, mature and sensitive skin type. Generally speaking, Resilience Lift Restorative Radiance Oil can be used also by women whose complexion is normal, oily or of combination type, nevertheless, the outcomes will differ. To demonstrate, normal skin type will be moisturized. When it comes to oily and combination skin, these in turn, will be purified and refreshed if Estée Lauder face oil applied. 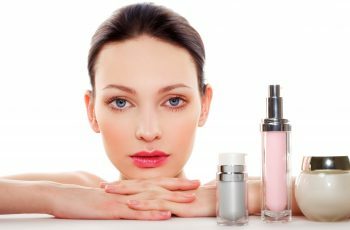 The cosmetic deals also effectively with dry and dehydrated skin as well as with skin fatigue and dull colour of complexion. If you decide to use Resilience Lift Restorative Radiance Oil regularly, you will notice the considerable improvement of skin condition. It will become highlighted, smooth, moisturized and nourished. What is more, mature skin type is believed to regain youth and freshness. All fatigue signs and uneven skin tone will be removed form under the eyes area. Moreover, skin will become miraculously more firm. Another plus of the product, Estée Lauder face oil is safe, which means, it does not cause irritations or allergic reactions. The producer claims, that the cosmetic does not assist in any way with acne or blackheads formation. Basically, Resilience Lift Restorative Radiance Oil was dermatologist-tested. How to apply Estée Lauder face oil? Due to the pipette provided, distribute several drops of the product and apply delicately on the face. Massage for a while and as soon as the cosmetic is absorbed completely, put on a moisturizing cream. Worth mentioning, Resilience Lift Collection comprises also of more care cosmetics. To clarify, Resilience Lift Collection’s components are: Firming/Sculpting Face and Neck Creme SPF 15, Firming/Sculpting Face and Neck Creme Oil-Free SPF 15, Firming/Sculpting Face and Neck Creme, Firming/Sculpting Face and Neck Lotion SPF 15, Firming/Sculpting Eye Creme and Radiant Lifting Makeup Broad Spectrum SPF 15.